The indoor pool at the lodge. If you enjoy swimming, there are two pools with lifeguards for residents. 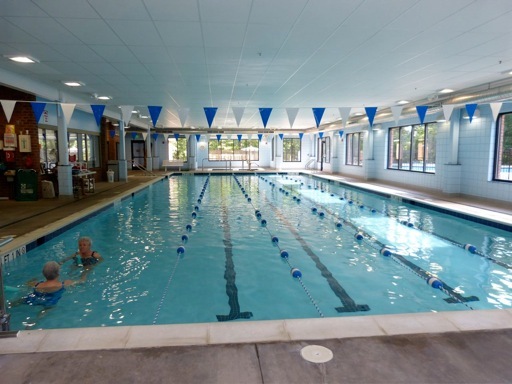 The pools also support a year-round water aerobics program. The indoor pool at the Lodge is open year-round, and the outdoor pool behind the Lodge is open from Memorial Day through Labor Day. 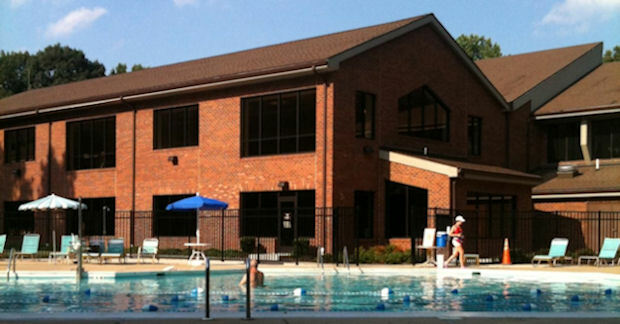 Many residents enjoy lunching in the picnic area next to the outdoor pool. Come and swim laps or just “bob” with us.